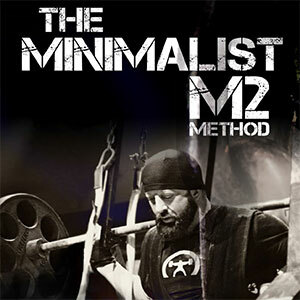 The M2 Method is designed to be the quintessential RAW training manual. There are a lot of strength training eBooks out there. Even here on elitefts.com you could find a list of training programs long enough that you could never have adequate time to try them all. The industry has reached a point of over-saturation of Internet training advice. It can sometimes be hard to sift through the BS to find real experts; one undeniable downfall of the techno-social age is that the uninformed have as loud of a voice as the professionals. This is what created the goal of elitefts: to provide accurate strength training advice in a manner that allows readers to not only get stronger, but also to understand why they got stronger. If we donﾒt have an expert on the subject, we aren’t writing about it. Brian Schwab has been with us from almost the very beginning – and there’s a good reason for that. Aside from Schwab’s incredible personal background, he has developed a training methodology that, without fail, has brought injury-free success to all of his powerlifters and athletes. Schwab designed the M2 Method to yield steady results without incurring the dangerous injuries that will either set back your progress or end your career. All training protocols are linear in some fashion, but Schwab has found a way to periodize the range of motion rather than only the weights. Through years of refining this technique, Schwab has narrowed in on the optimal way to use these techniques to the lifterﾒs advantage. In this book, he walks you through a training philosophy that oversteps fear of injury, and forges years of uninterrupted progress. He covers everything from main movements to accessories to bands and chains to proper warm-ups to recovery and nutrition tips. And he does so in a manner that keeps the training variable and exciting. The M2 Method eBook includes multiple training progressions that can be interchanged without consequence. If you’ve just completed two weeks on Training Cycle A but want to do the third week as outlined in Training Cycle B, you are able to do so without derailing your progress. Years of injury-free powerlifting brought Schwab to this point in the M2 Method history. This eBook is a complete guide, written by one of the world’s all time best powerlifters, to guide you on the best path to platform prosperity. The M2 Method is by far the best thing that I have had the opportunity of doing. The training is intense, but there’s just the right amount of volume to ensure adequate recovery time between sessions, as well as maximizing hypertrophy and strength gains. I am pretty much making weekly PRs, which is something I haven’t been able to do since I was brand new to lifting. Bottom line, IT WORKS. Over-complication is a pretty common problem with a lot of lifters, but I think that most will find that by switching things up and adopting something of higher intensity but lower volume will benefit them greatly. Not just from a strength aspect, but recovery and injury-prevention as well. I cannot recommend the M2 Method enough. The M2 program is designed to yield steady results and avoid overuse injuries. By avoiding injury you will achieve reasonable goals faster. 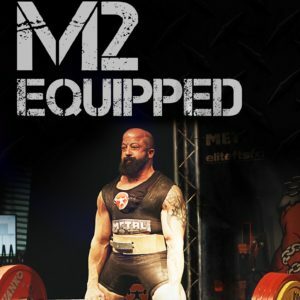 I prefer the M2 Method to other programs because the use of the increased range of motion each workout keeps me feeling fresh every week, instead of beat up and needing a deload. In addition, the Minimalist Method provides three separate training programs for each of the competition lifts, allowing for me to focus on different weaknesses of each of the main lifts. The M2 Method really pushed me to the limit but also got me prepared to handle heavy weight with ease and confidence. The constant time under tension not only built my confidence, but I could feel also myself getting stronger in each phase of all my lifts. I like that I get to use heavy weight every training session. The M2 Method proves that it doesn’t take a lot of crazy accessories and randomness to get results; it just takes heart and heavy lifting. I see many people train more and get less.